This blog post is a bit of a rant. I am no angel, I have pirated in the past and I will pirate in the future, but this uproar over Sony's treatment and pursuit of Geohot in the PS3 hacking case is driving me crazy and not for the reasons everyone else has. 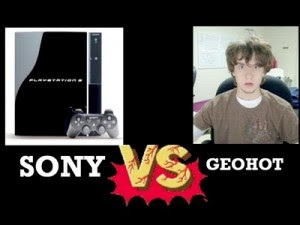 Geohot is a douchebag, he is not a douchebag because of his anti-sony rap (though it helped), nor is he a douchebag for trying to hack the PS3 for knowledge's sake. He is a douchebag because he publicly released and bragged about his hack of the PS3, but then said, hey don't use this to pirate the PS3 cause that would be wrong! Ok, everyone needs to actually think about this. The PS3 is now compromised by this hack and people are using it to pirate games and cheat in multiplayer matches. Barely anyone is in fact using it for 'homebrew' and installing the Linux OS because of course millions of users legitimately only want to do that. 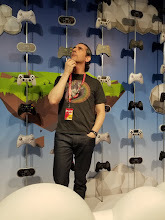 As to Sony's looking into Geohots paypal, computer and site visitors? Gee, maybe Sony is actually trying to prove how many of his visitors donated, looked at the hack and then pirated games? Maybe they are actually trying to demonstrate how his public bragging of this hack has actually harmed the multiplayer community? Caused rampant piracy? Everyone seems to think that Geohot is an innocent in this, in fact he is not. He wanted infamy, he wanted to break the PS3 open and share it for good and ill and he needs to answer for these actions. I don't think he should be put in jail or fined a hojillion dollars, but a lesson should be given to this little puke.